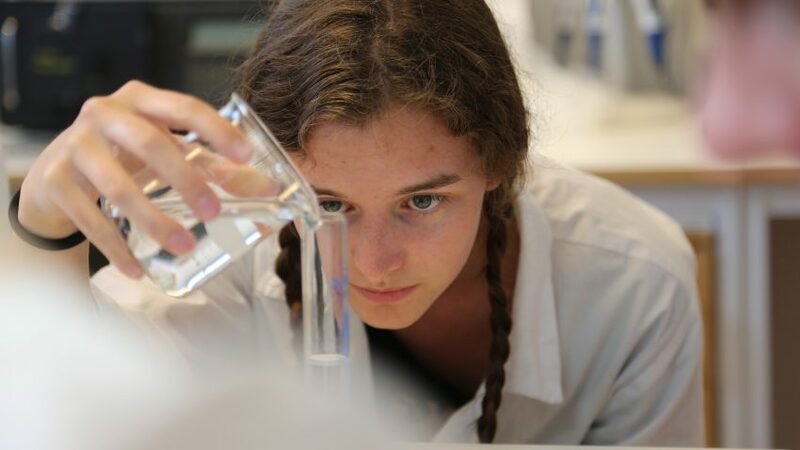 Six high school students from the Stockholm area spent two weeks at ACES as part of Summer Research Academy (‘sommarforskarskola’) organised by the Faculty of Natural Sciences, Stockholm University. The students attended seminars, went on a field excursion and ran experiments in the lab. During their two weeks at ACES, the six students carried out a project in ecotoxicology supervised by PhD student Maria Bighiu. he aim of the project was to measure mixture toxicity of metals on aquatic snails (Theodoxus fluviatilis) and to compare snails from different sites in their ability to adapt to pollution. The students collected snails at the nearby Brunnsviken lake which they then exposed to copper and zinc in the lab. So, how did the students do? “The results look good! It was both exciting and challenging to work with young students who have different backgrounds and little lab experience. I think they were all hard-working and did a great job!”says Maria Bighiu who finds’forskarskola’ an excellent opportunity for highschool students to get their hands on ‘real-life’ academic research. What did the students think of their two weeks at ACES?